The OTC Comedy Troupe is innovating Improv! The OTC is an improv and sketch comedy group that offers shows that are innovative and use audience suggestions to create scenes on the spot. The OTC Comedy Troupe received the Community Impact Award for Arts Ensemble or Collective from ArtWorks! Gwinnett. 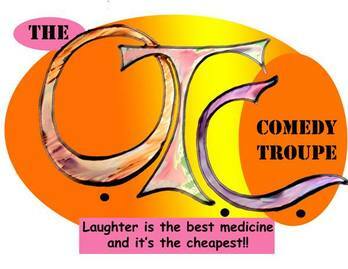 The OTC created a live web show from 2009 to 2011 that was seen by over 225,000 people world-wide. The group has also created a series called Ghost Wanderers. In addition to performances, the group can customize a show for any event all the way from a special birthday party to a shower, corporate event or training to a family show that's geared to kids. We'd love to part of your next event. Click here to be part of our mailing list for info and special offers!